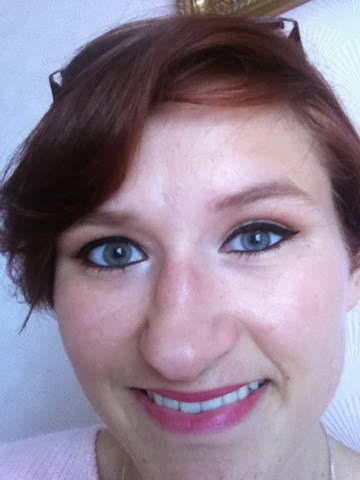 My Love For Makeup By Christina Curtin: Outfit of the day and Face of the day. Hey guys! How are yer week going mine is kinda rough to be honest. Today I am going to share with you my outfit and my makeup from yesterday. I was ment to write this post yesterday but it went out of my head! Staring with the top and working my way down. Sorry now but I didn't have enough moemory in my Ipod to take pictures of everything but Ill just have to tell you what they were. Face: I used a Nivea mosturiser and on top of that my BB cream. Now I would tell you the name of it but I can't even say it. It's not one of the well known ones. I got this BB cream in a pound shop and it was only 1.50. Ya I know you are raising your eyebrows and thinking what did she do that for. I have never used a BB cream before and I had heard so much about them so I just got a cheap one to see what was so great about them. To be honest with you for just 1.50 it's pretty good. I might do a review on it soon. Brows: I have an Avon eyebrow pencil that I use on a daily basis and it works just fine for me. I don't do to much to my brows because there isn't a lot to do to them. Eyes: On my lid I used a very light eyeshadow to just brighten it up. Just above my crease I used Naked from the Naked palette. On my crease I used a little bit of Buck to define the crease. For the high light shade I used Vergin on the brow bone and in the inner eye to make me look that little bit awake. The eyeliner that used was the Essence Gel eyeliner in Midnight. It's such a black liner that I love it and its also waterproof. Which is always a good thing in my book. My mascara was a Rimmel RotroGlam. I have it a while now. Lips: I used a pink lip liner again I don't know the name of it as I have a good while and the name is well rubbed off. Jumper I got it in a secon hand shop. I am not that big in getting things from charity shops but something they do have fantastic clothes that were never wore or still have there tags on from the original shop. 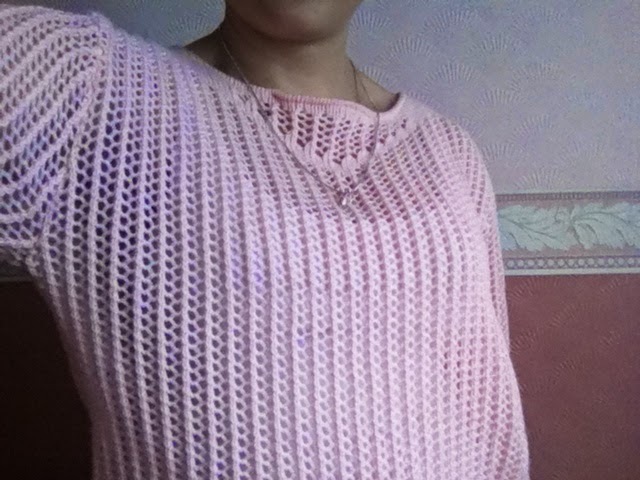 This jumper had its tag on and I really liked the light pink colour. 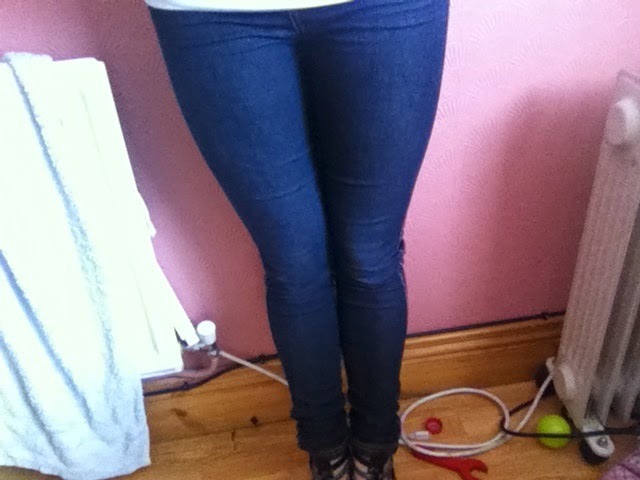 Jeans: ( Pennys) I really would have wore shorts if I knew it was going to be so hat out. I was passing out all day. 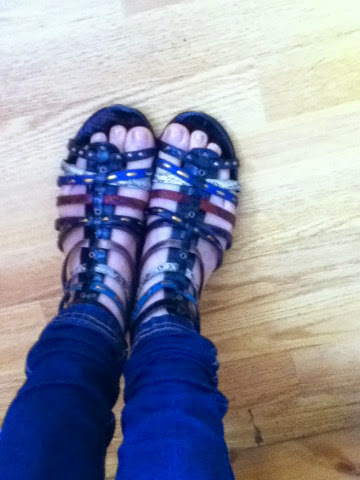 I love this sandals. They are so comfy! Thank you everyone who read my posts. I hope you all have a nice week. Thank you. I really took my time on the eyeliner it's never as good as that. Thank you for the comment.